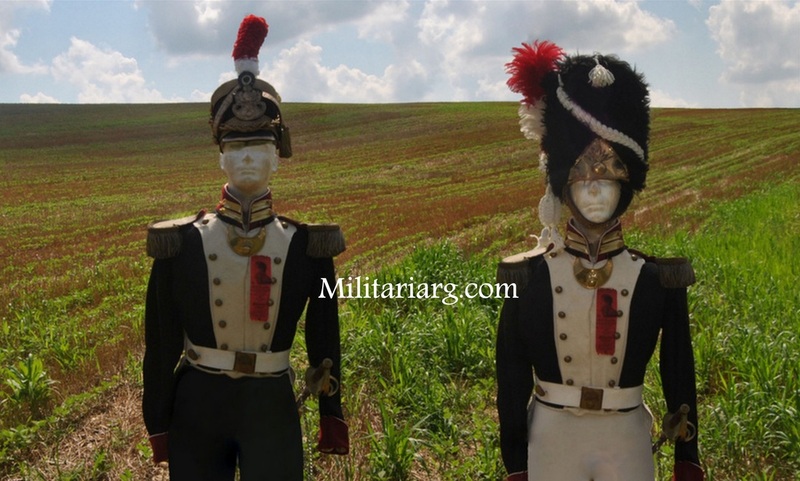 ​Historic uniform from the Grenadier horseback corps, custodians for the government house or Casa Rosada ("Pink House") as well as escorts. 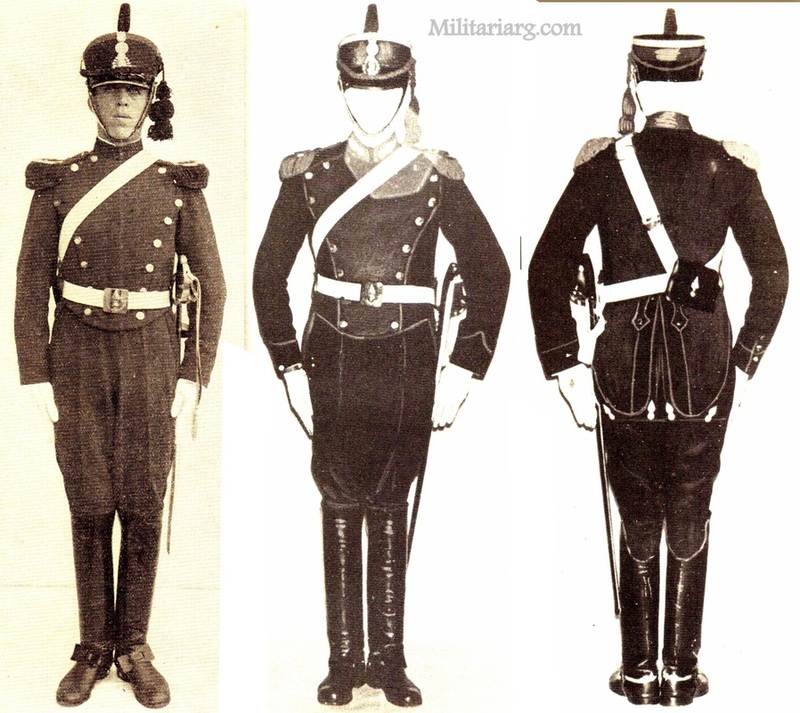 The uniform was approved with a regulation of 1909/1913 Chapter IV. 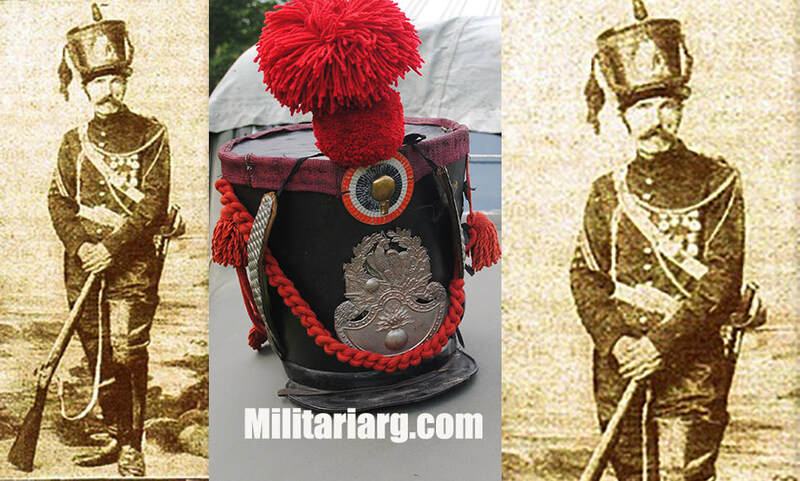 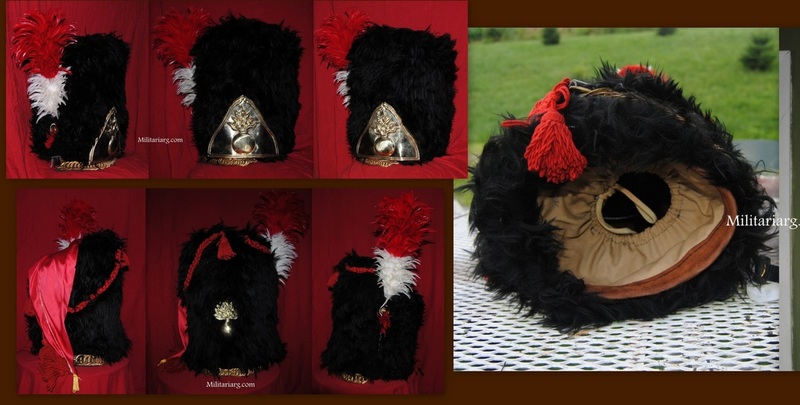 ​Line infantry/cavalry shako with French style, waterproof cover. 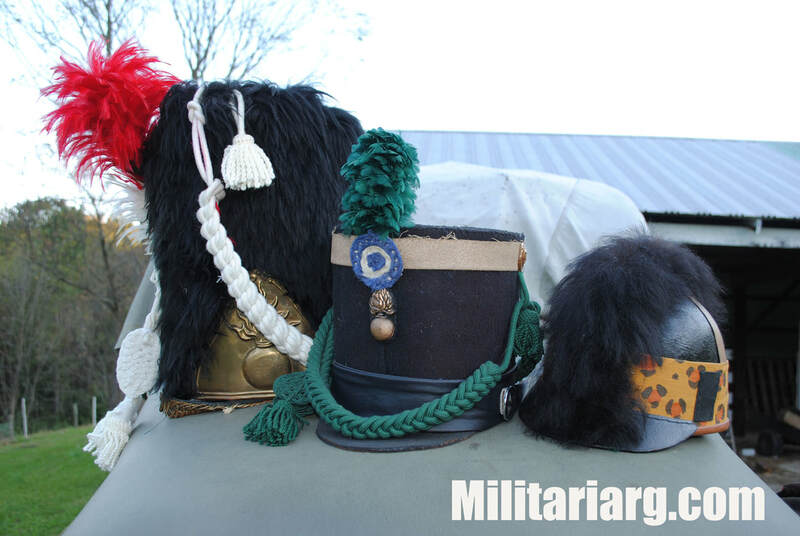 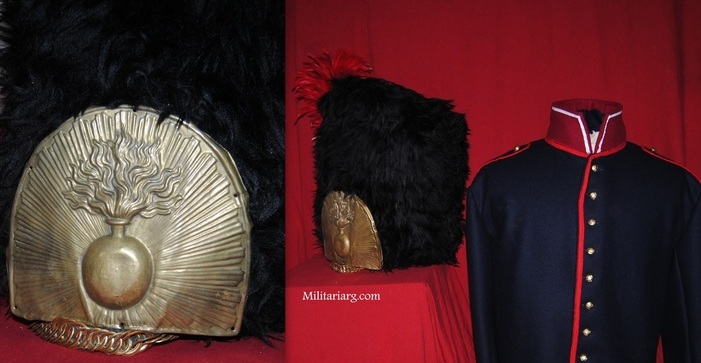 The shako on the left is a reproduction of the Cazadores de los Andes Chasseurs of the Andes (Light Infantry). 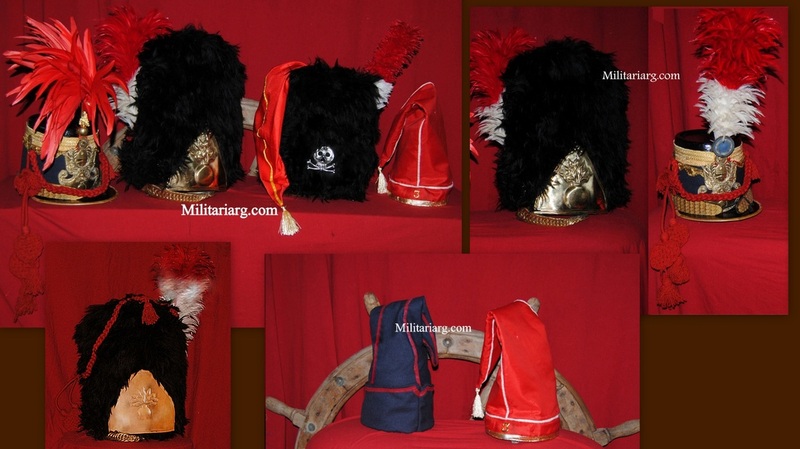 The shako style is the British foot regiment light infantry. 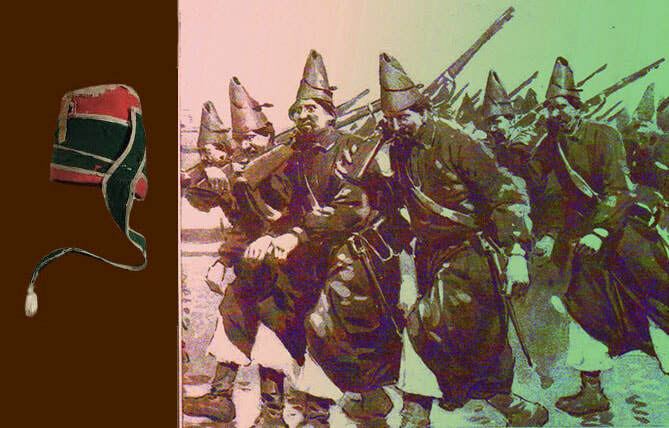 ​19th - Confederation Era. 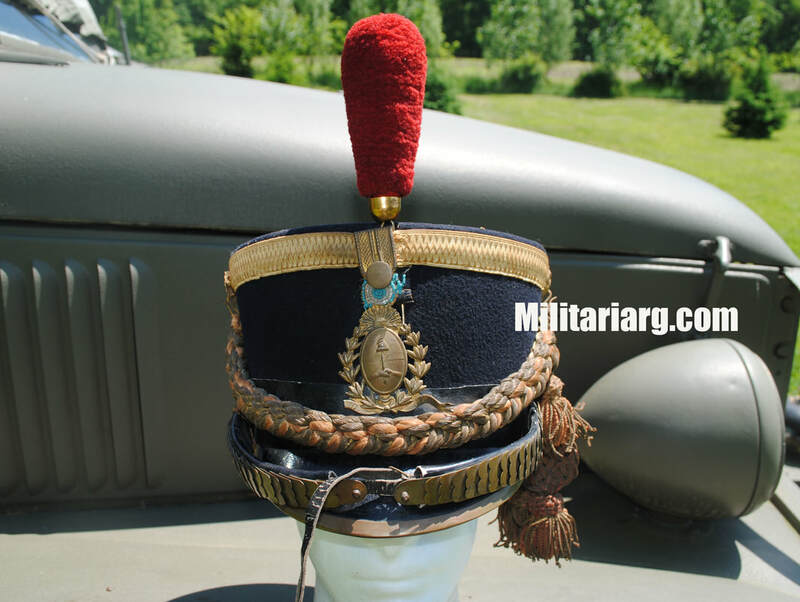 Argentine Shako Rosette. 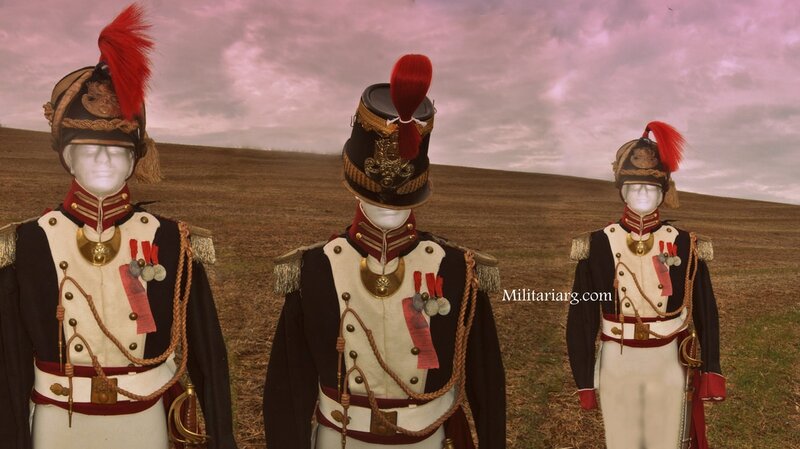 Hussars pattern (1806 - 1807). 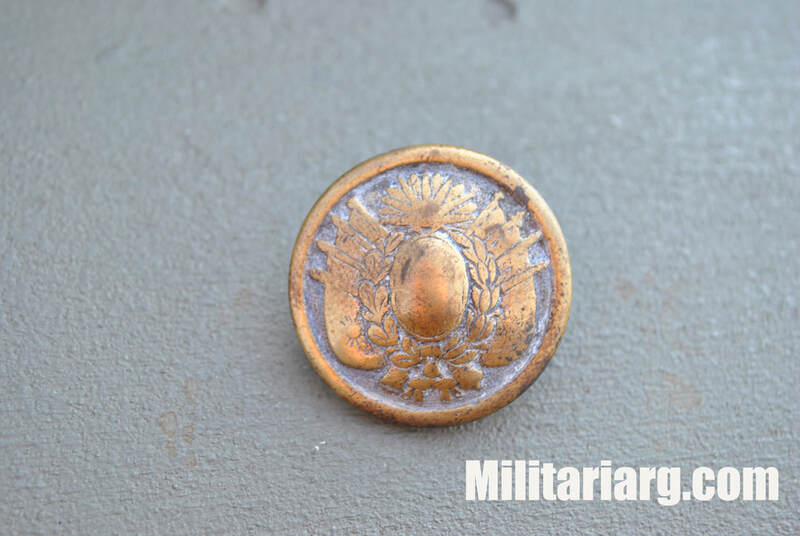 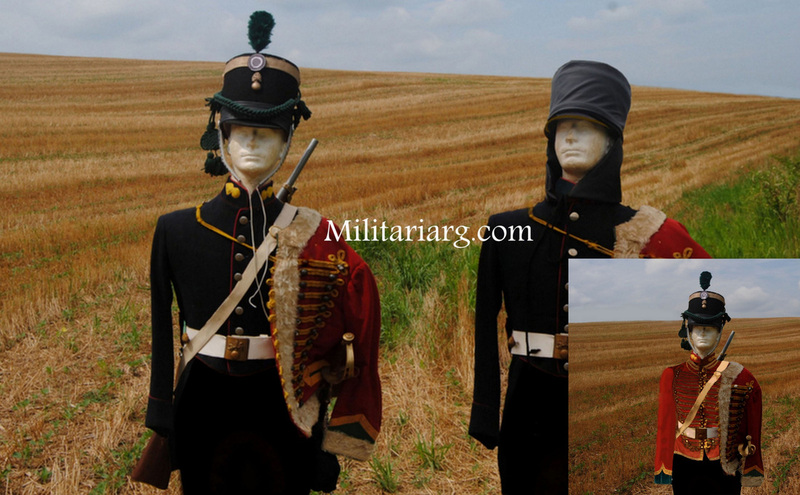 On the left in the photo above, a French "Mirliton" from the late 18th century. 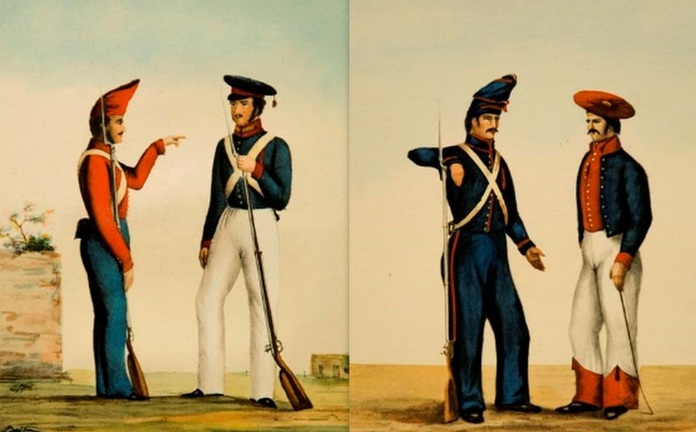 On the right, the humble infantry of the Argentine Confederation (1829 - 1852) in an early twentieth century illustration. 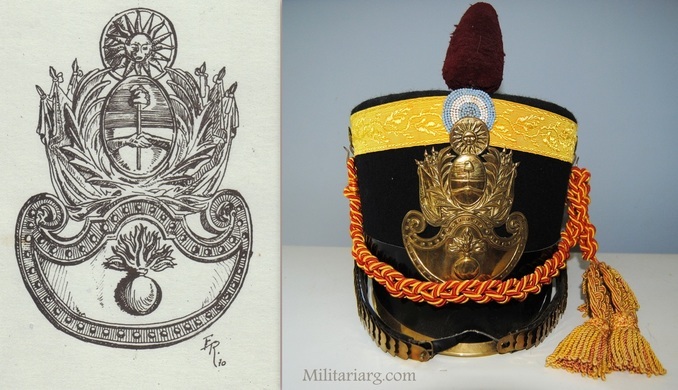 Like this drawing, many drawings and paintings reproduce the image of this type of rigid bonnet, but without determining what type of headgear it is. 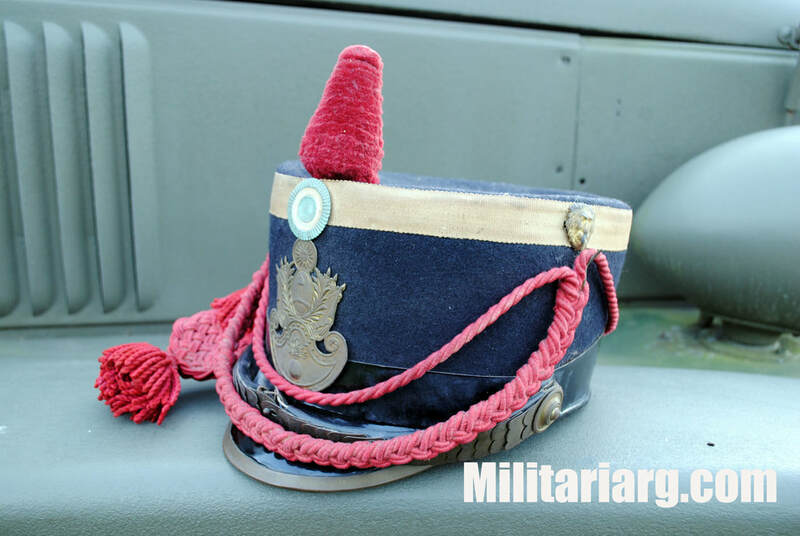 At first glance it looks like a fatigue cloth cap, called at the time "Cap de Manga", but it would not be the same. 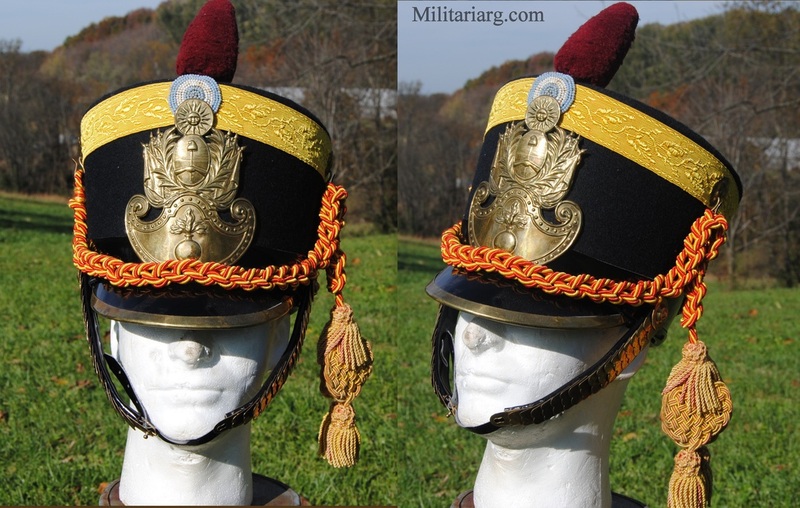 This pattern is rigid and maintains its shape like a shako. 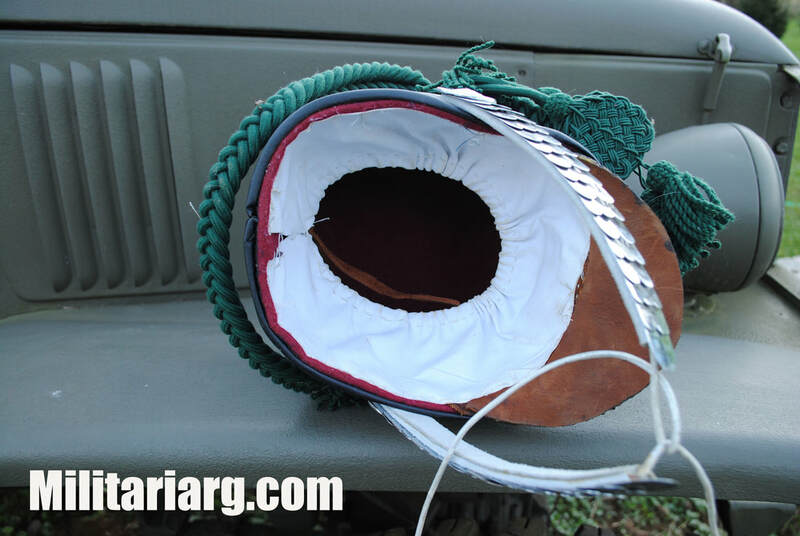 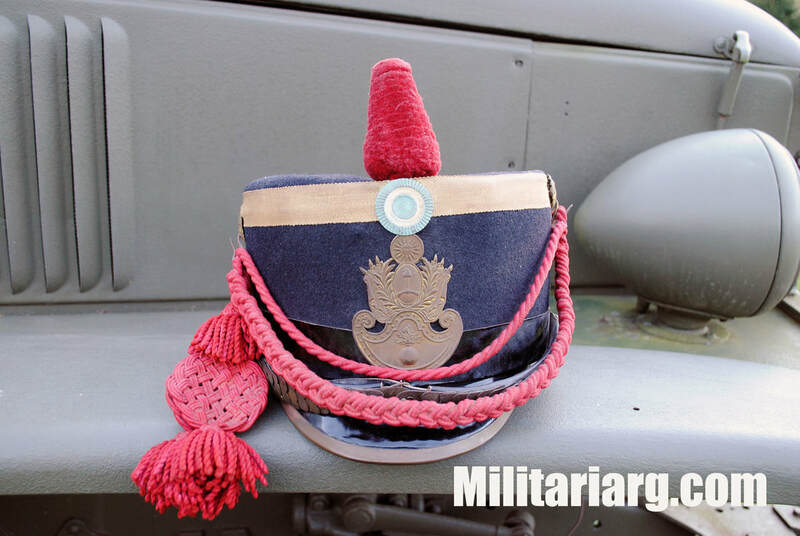 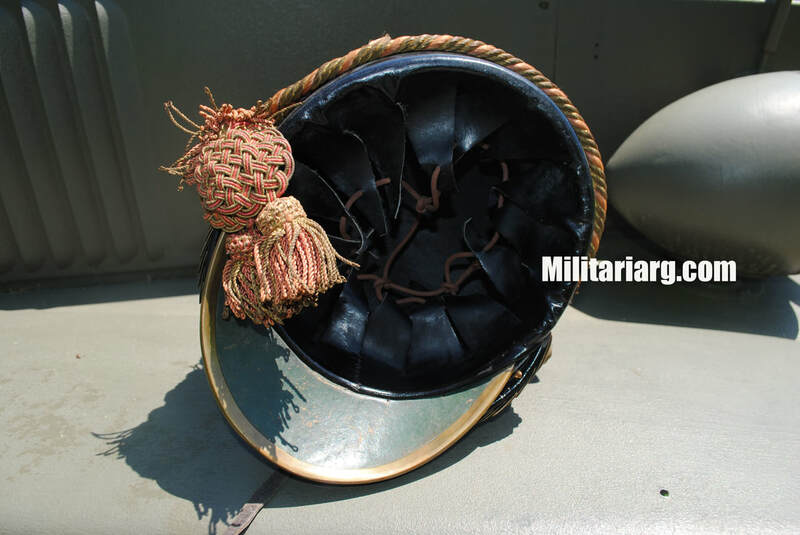 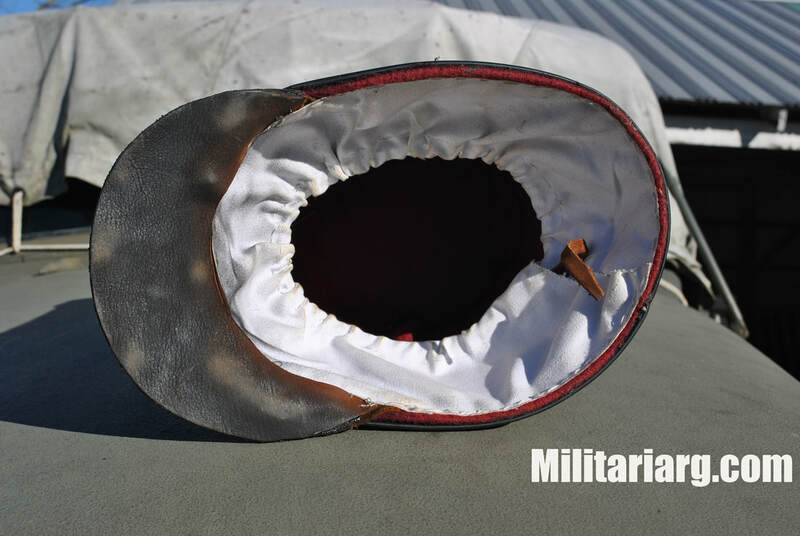 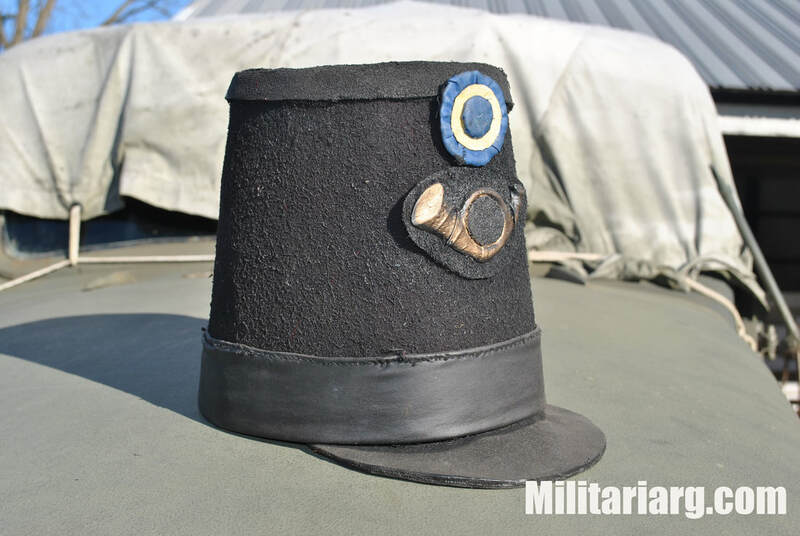 It could have been a Mirliton, a simple conical shaped shako, covered by a continuous band of felt. 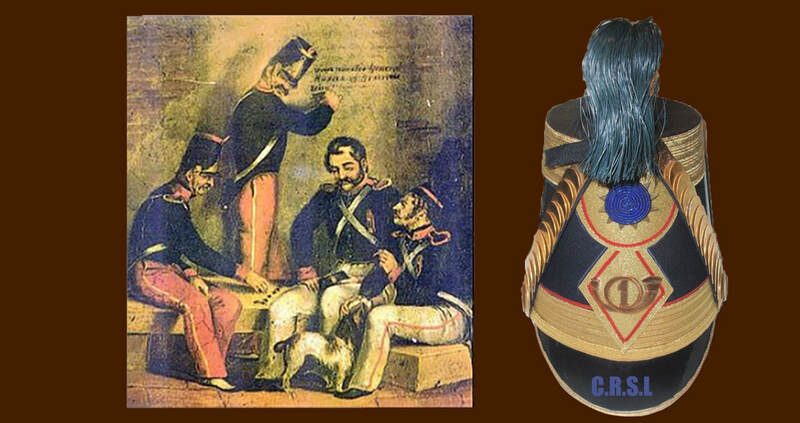 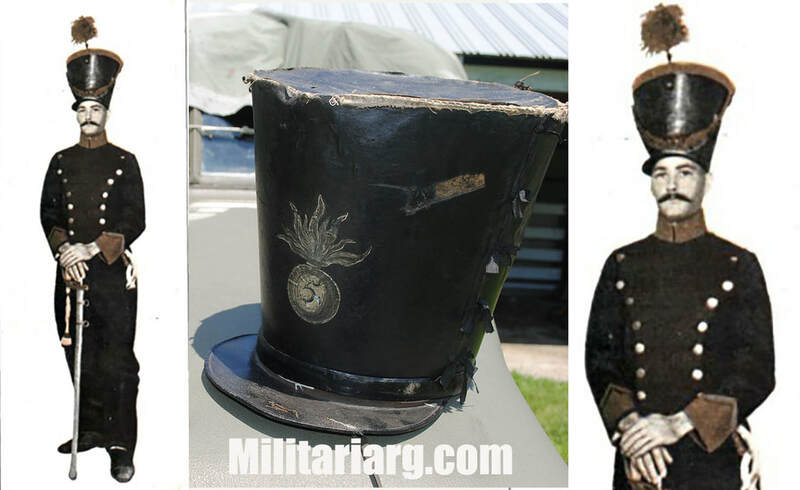 Some old documents speak of a conical shako with a viewer, towards the beginning of 1830, but they would not have been of the model of the French model 1837, since they were earlier. 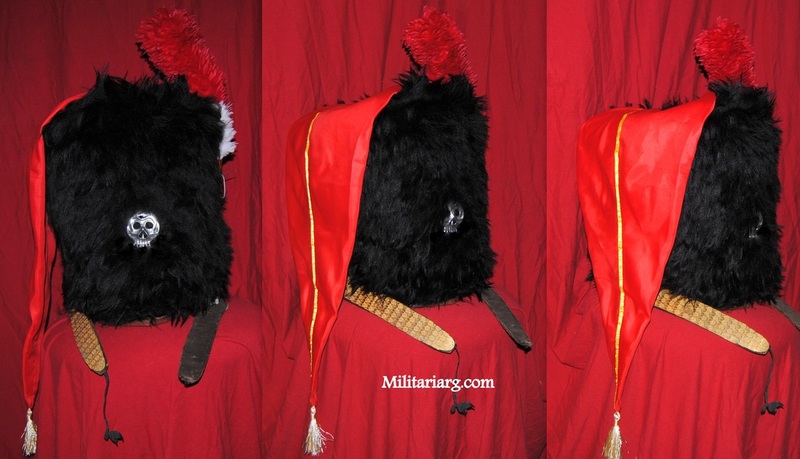 Probably these conical shakos with visor and without visor, would have been successors in Argentina of the classic Mirliton of the Husares, but completely conical. 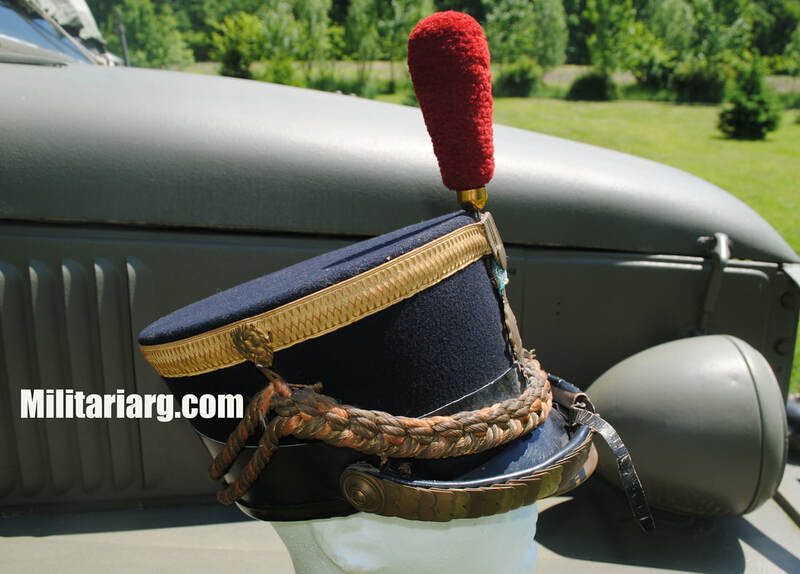 Or it could have been another, unidentified shako. 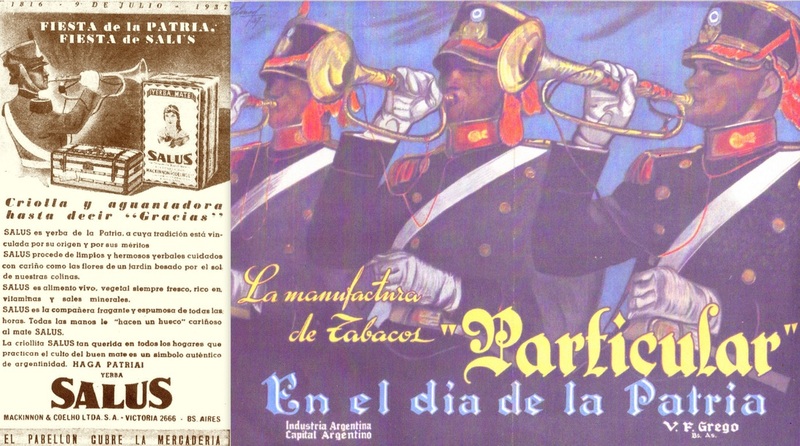 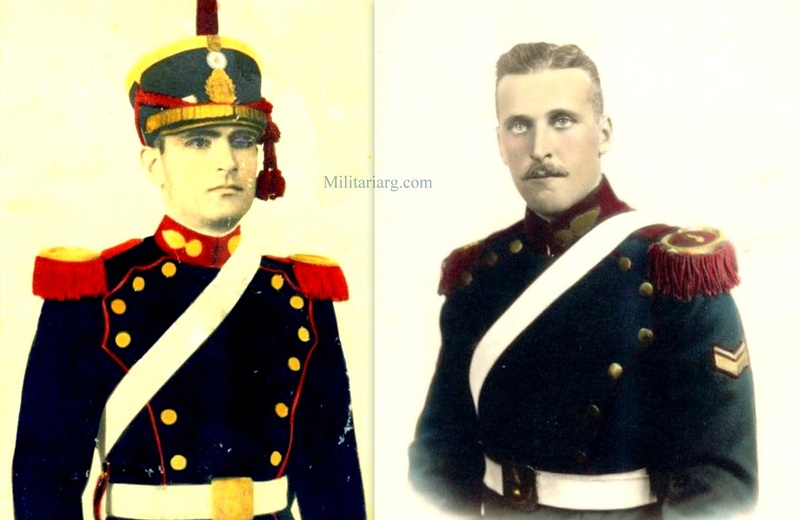 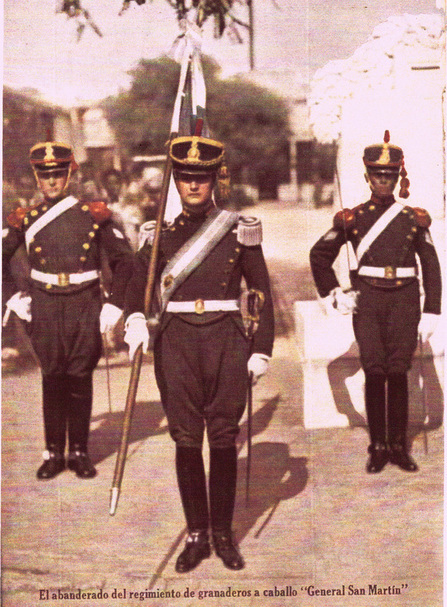 ​ On the left, soldiers of the Argentine confederation. 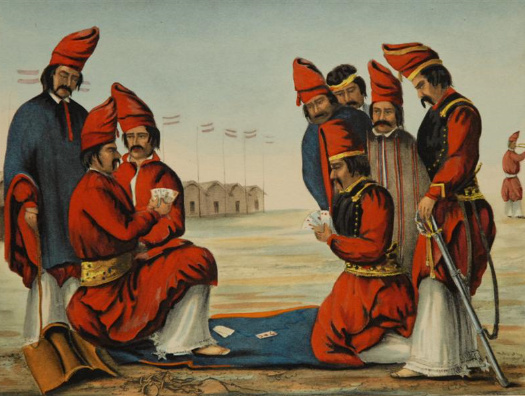 Painting from that time. 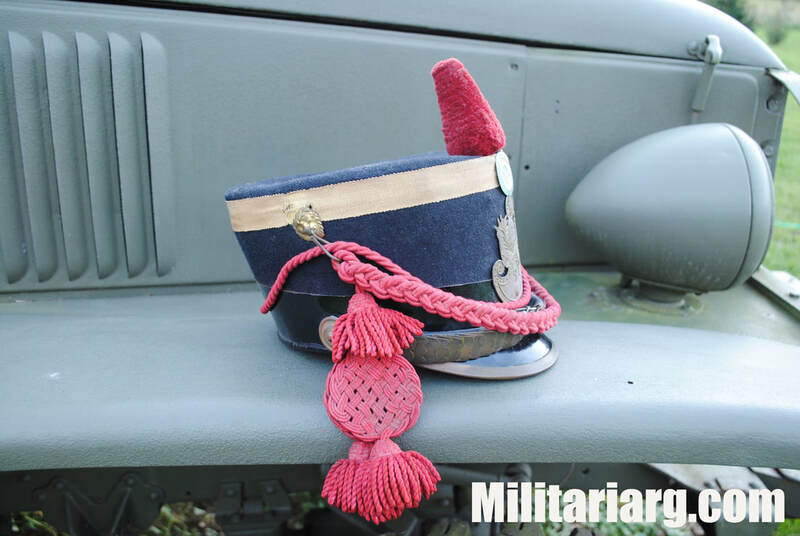 National Historical Museum. 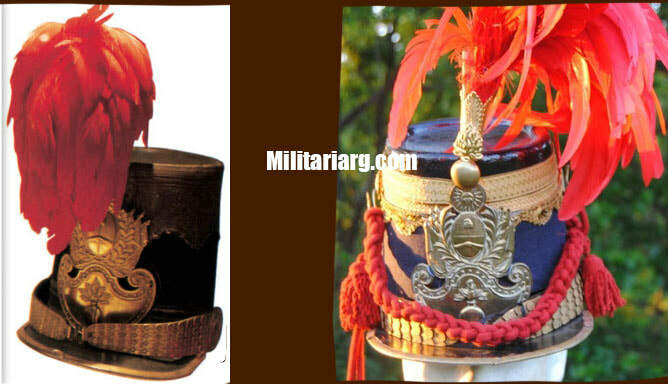 Right: Uruguayan Army shako, from the 1st Florida Infantry Battalion. 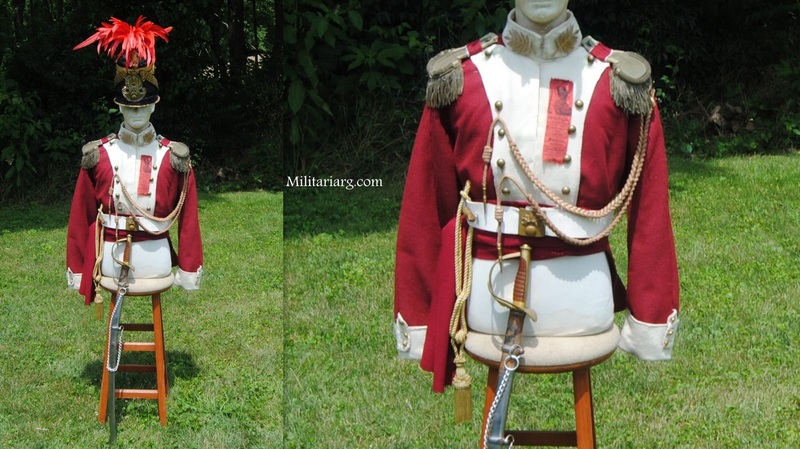 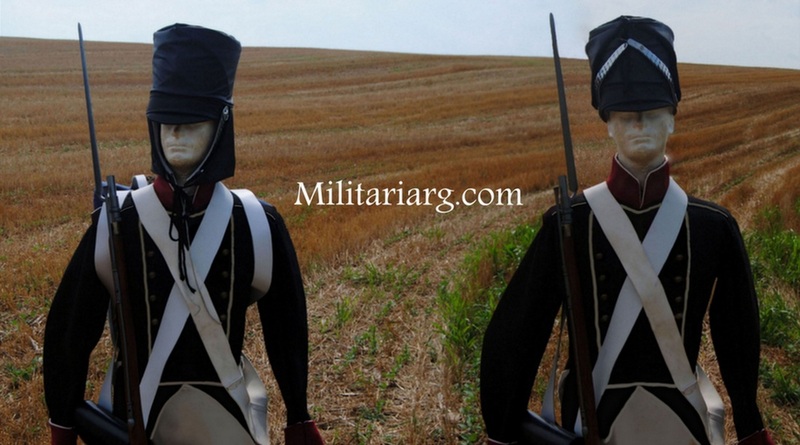 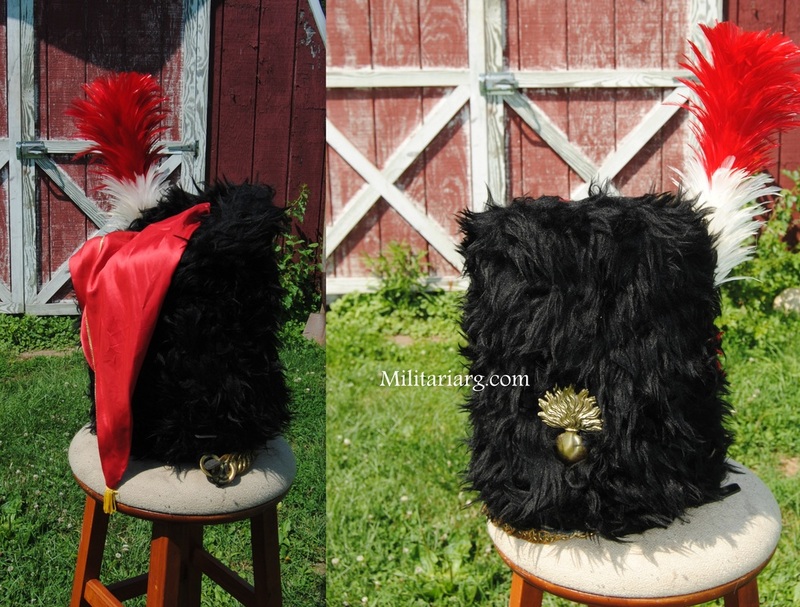 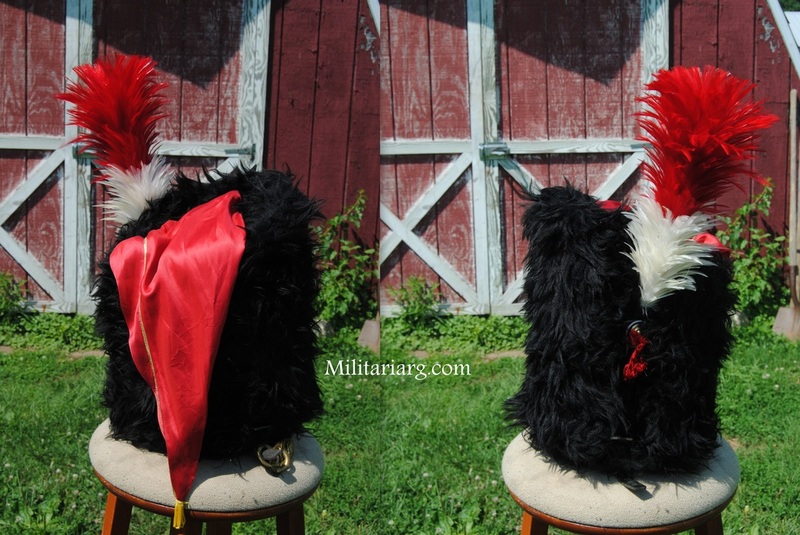 1) Horse-Grenadier San Martin 1812 pattern replica. 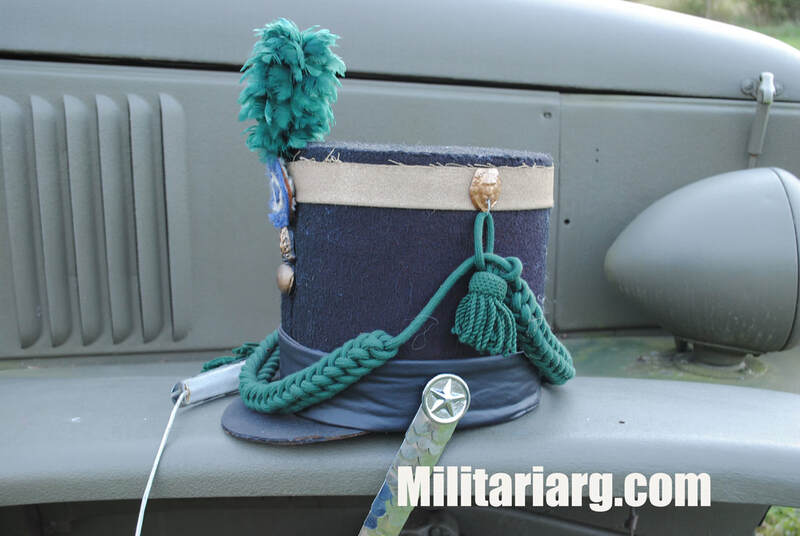 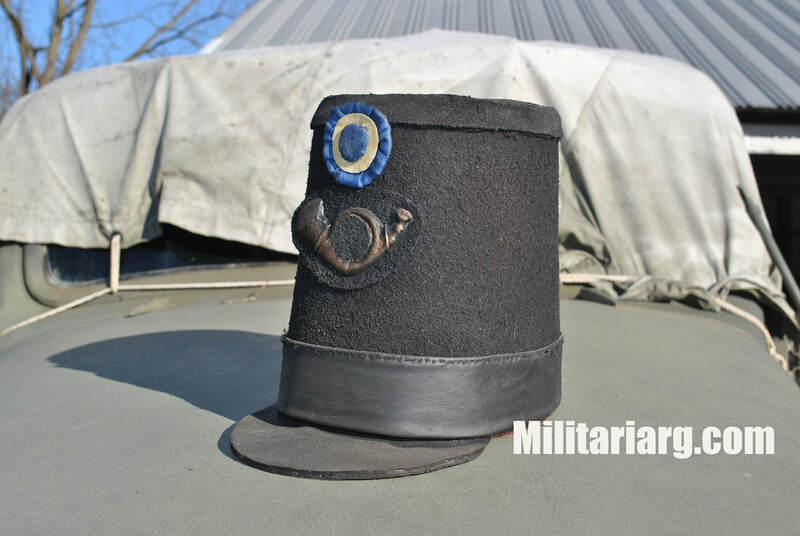 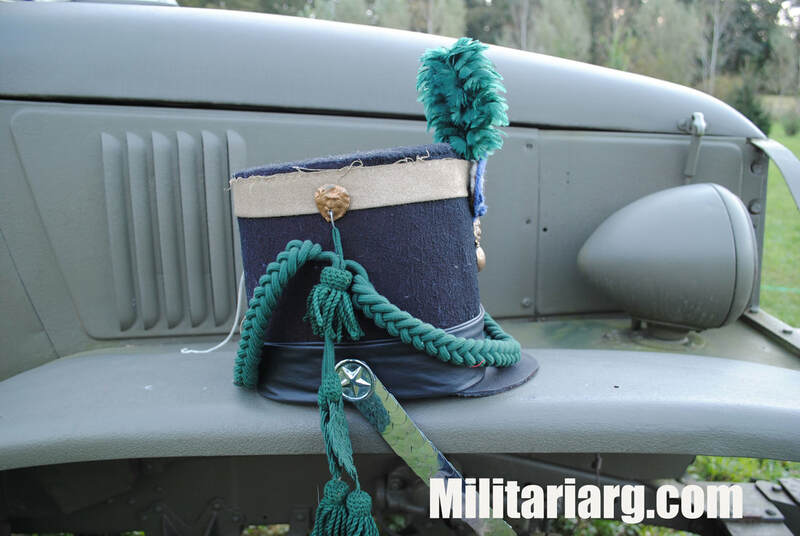 1804/1815 British type "Stovepipe" shako" replica. 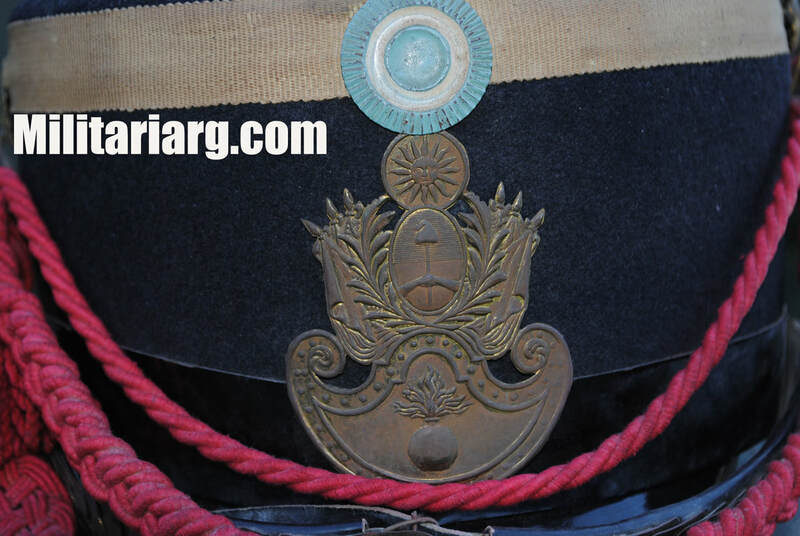 When the remains of General San Martin were repatriated in 1880, a corps of guards for his mausoleum was created. 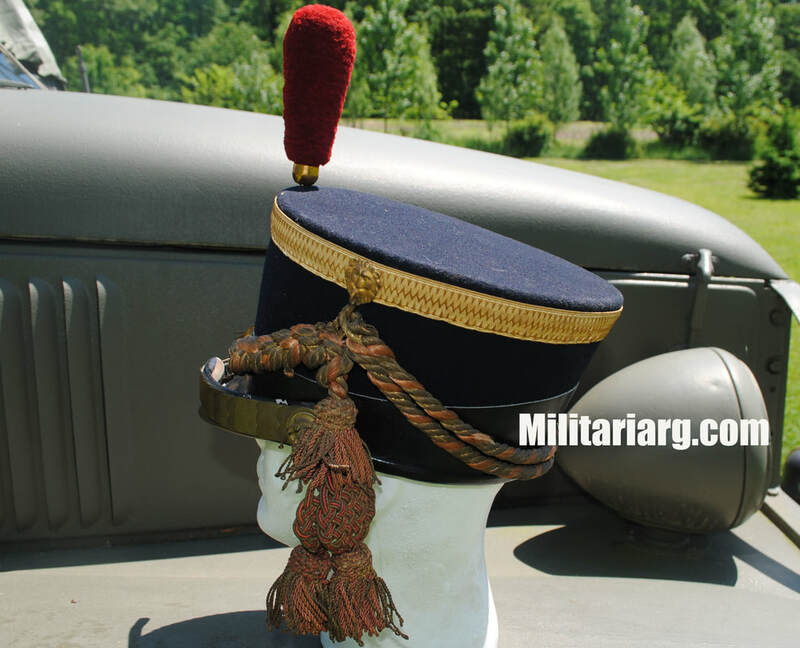 This unit had obsolete (historic) French uniforms from the mid-19th century, and among these, came the old French shako model 1830. 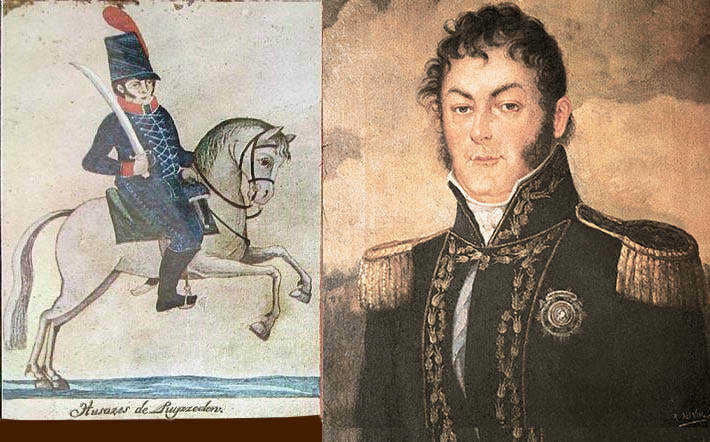 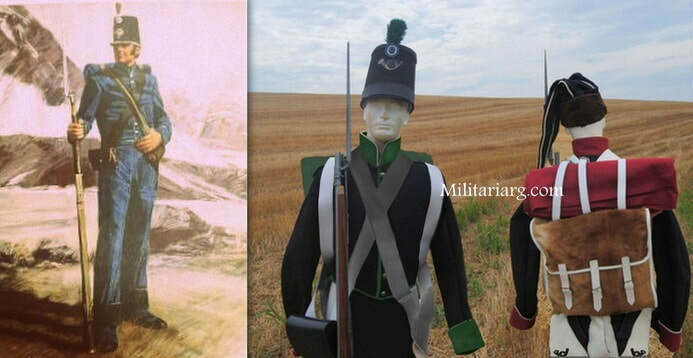 Comparison between a Felipe VII Grenadier (Buenos Aires Colonial era 1810-1811) and Argentina Confederation era, Grenadier 1843-1849. 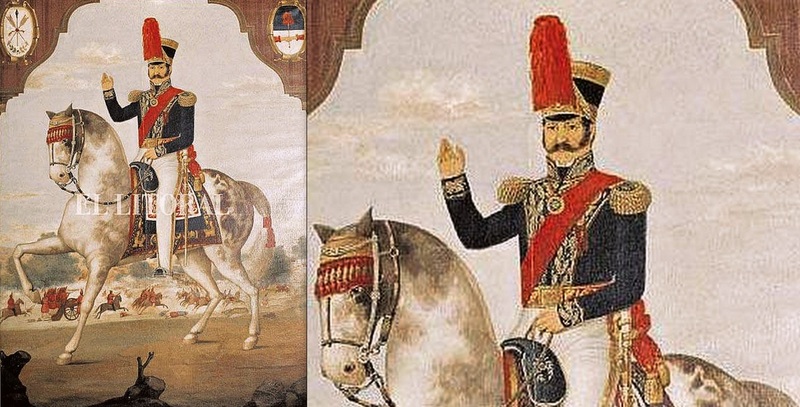 Note the details on the sleeves. 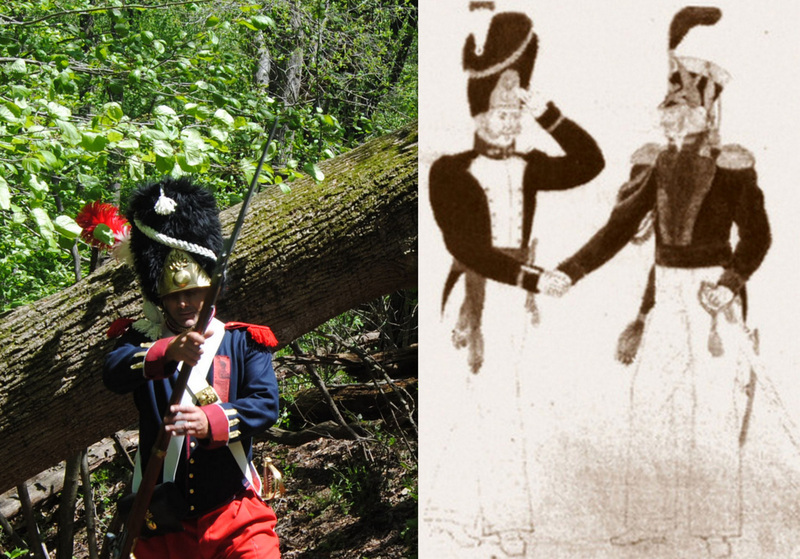 They seem to have characteristics in common. 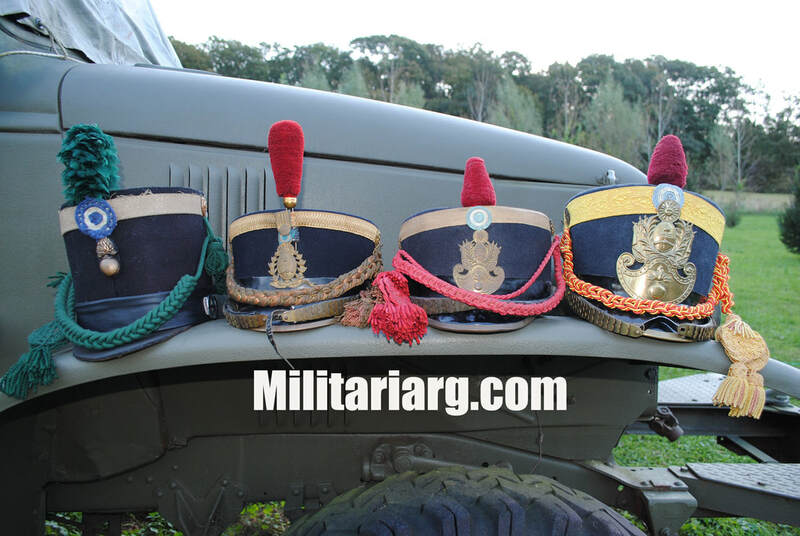 The ranks did not change much between eras. 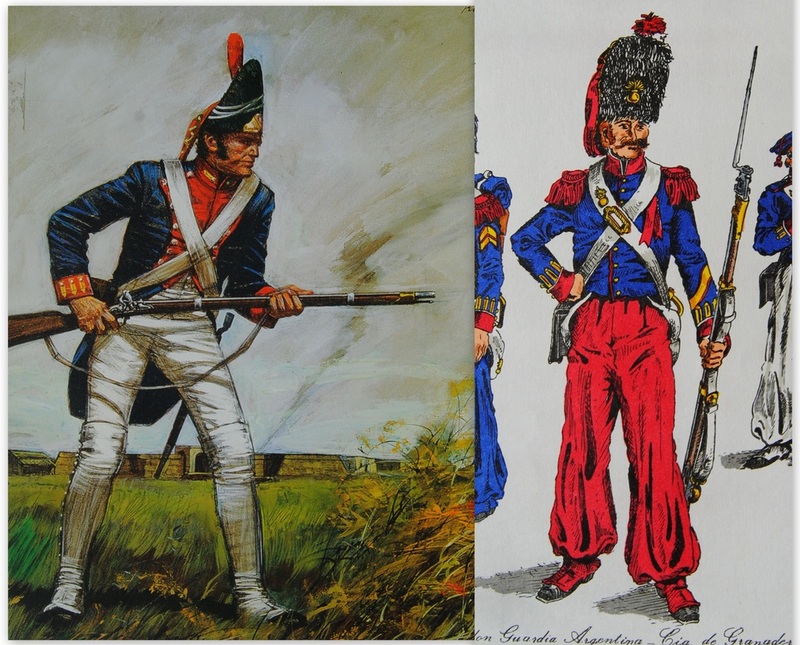 Grenadier Plate (French Restauration/Louis Philippe Era 1815-1830).